Originally published under the title, "Justice, Erdogan Style." 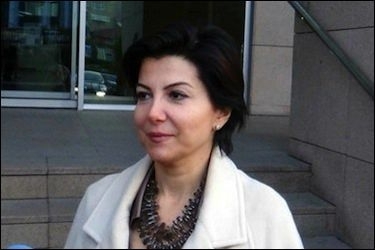 Journalist and anchorwoman Sedef Kabas faces five yeats in prison for tweeting that the public should "not forget the name of the judge" who dropped all charges in a mega-corruption investigation involving four ministers, their sons and high-profile businessmen. Shortly before parliamentary elections in 2011, a prominent opposition deputy visited Sakarya, a province not far away from Istanbul. Muharrem Ince, from the main opposition Republican People's Party [CHP], hopped on a minibus and made a speech to locals for about 15 minutes. Later, Ince would learn that a prosecutor had charged him with "blocking the city traffic by speaking on a minibus and attempting to wear down the government." The prosecutor was asking parliament to remove his immunity so that he could stand trial. That never happened, but the indictment against the opposition deputy was the precursor to how Turkey's justice system would evolve and become an instrument to suppress any kind of dissent. Today, courtrooms can sometimes be places where people seek justice, and sometimes where acts of a distasteful Turkish comic opera are played. Recently Sedef Kabas, a journalist and anchorwoman, sent a tweet and called on Turks not to forget the name of the judge who had dropped all charges in the mega-corruption investigation, known as the Dec. 17-25 probe, which involved four ministers, their sons and some high-profile businessmen. "Do not forget the name of the judge who decided not to pursue the proceedings in the Dec. 17 probe," Kabas wrote in her tweet. Turkey's justice system has evolved into an instrument for suppressing free speech. Immediately afterwards, a prosecutor prepared an indictment against Kabas on charges of "targeting anti-terror officials" (referring to the judge in the case, who has no anti-terror tasks), and of "making threats." On Dec. 30, she was detained, testified to the prosecutor and was released. But a few days ago, she learned that she would face trial, with the prosecutor demanding up to five years in jail. Then came the case of Dr. Hasan Herken, a professor of medicine and university dean in western Turkey. In a social media posting, he mocked President Recep Tayyip Erdogan's "16 warriors," symbolic figures standing for 16 states founded previously by Turks in history. He later deleted the tweet but it was too late. He did not want to insult anyone, he said. Not good enough. He started to receive death threats, including against his family, and finally resigned from his faculty post. No one has been prosecuted for threatening the professor. Probably because prosecutors are busy chasing up dissidents and opposition figures. Last October, another opposition politician, CHP's Deputy Chairman Veli Agbaba, made an announcement for the press in Istanbul and asked a few disturbing questions about the ruling Justice and Development Party (AKP): "Has the government been negotiating with the global terrorist Yasin al-Qadi over a piece of [publicly-owned] land for a shopping mall? ... Is the Justice and Development Party giving a gift to al-Qadi? ... Has this land been given to al-Qadi's company without bidding?" 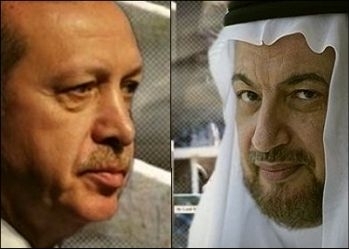 Erdogan's close relationship with Saudi terrorist financier Yasin al-Qadi is off limits for public discussion. An Istanbul prosecutor took action immediately -- not to investigate the deputy's allegations but to indict him. Prosecutor Selamettin Celep is charging the deputy with "insult and defamation" and is asking parliament to remove Agbaba's immunity. From his indictment: "Using the word 'global terrorist' repetitively and humiliating him [al-Qadi] ... Claiming that al-Qadi benefits from illegal relations with Istanbul's mayor and AKP's senior officials ... constitutes defamation..." Citing an earlier decision by a prosecutor not to investigate al-Qadi, Celep then asked for an increase in the prison sentence he is seeking for Agbaba, to a maximum of eight years and four months. Multimillionaire Saudi businessman Al-Qadi is not just an ordinary man. The UN placed sanctions against al-Qadi in 1999 and 2000, when he was named by UN Security Council Resolutions 1267 and 1333 as a suspected associate of Osama bin Laden's terror network, al-Qaeda. The US and European Union also applied sanctions to al-Qadi. But some European courts overturned al-Qadi's listing as a terrorist, and his name started to disappear from some of the blacklists: Switzerland in 2007, the EU in 2008 and 2010 and Britain in 2008 and 2010. All the same, under US law, he remains a "Specially Designated Global Terrorist." Al-Qadi, whom Erdogan once referred to as "a family friend", was among hundreds of suspects in the Dec. 17-25 investigations until the judge, whose name the journalist Kabas wanted to remain in the collective Turkish memory, dropped all charges against all suspects. Facing a prosecutor's request for the removal of his parliamentary immunity, the MP Agbaba told reporters: "AKP is using [the justice system] in order to whitewash its cronies ... Apparently, al-Qadi is not only ruling Istanbul but also the Turkish justice system." Agbaba may be prosecuted for stating that too. Sadly, if they face a serious legal case, Turks would probably be better off hiring, instead of the best attorney in town, a senior official of the ruling AKP party. And they are aware of this. A survey, released Jan. 20 and conducted by Kadir Has University in Istanbul, revealed that the percentage of Turks who trust the judiciary in the country dropped from 33% in 2011 to 28% at the end of 2014.